A UN court in The Hague, Netherlands, has convicted former Bosnian Serb military chief Ratko Mladic of genocide and crimes against humanity and sentenced him to life in prison for atrocities perpetrated during Bosnia's 1992-1995 war. 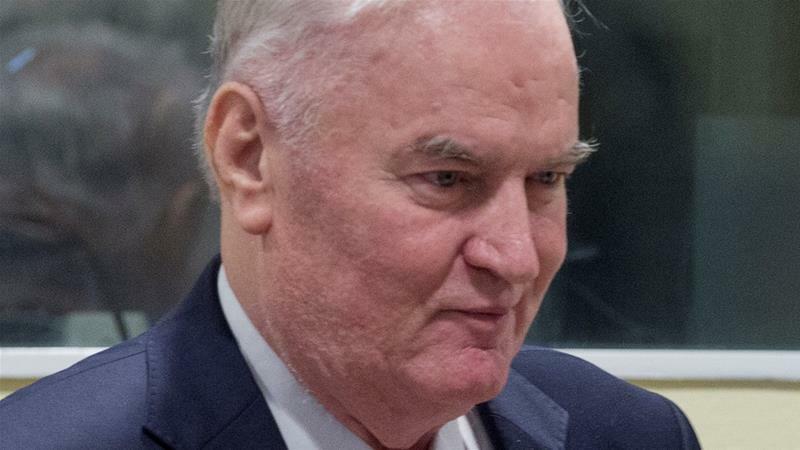 The court in The Hague convicted Mladic of 10 of 11 counts in a dramatic climax to a groundbreaking effort to seek justice for the wars in the former Yugoslavia. Presiding Judge Alphons Orie read out the judgment Wednesday after ordering Mladic, dubbed "The Butcher of Bosnia", out of the courtroom over an angry outburst.